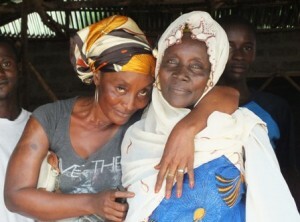 Village Aid supports the Masallay Academy in Mile 91, northern Sierra Leone, to provide war-affected orphaned children with food, accommodation and healthcare. 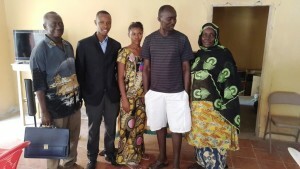 Mama Sallay (pictured below, right) and her team also run a primary school, providing free education for the children, and support older children with fees and equipment to attend secondary school. 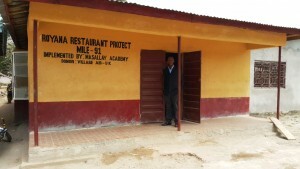 To develop their long-term sustainability and independence, Masallay Academy decided to establish the Royana Restaurant. Their aim is to set up a successful business which will provide funding for the Masallay Academy, reducing their reliance on external support. The money will also be used to provide vocational training to older children, enhancing their employability. Village Aid’s primary contact in Sierra Leone, Sheikh Issa, has been regularly updating us on progress with the restaurant. 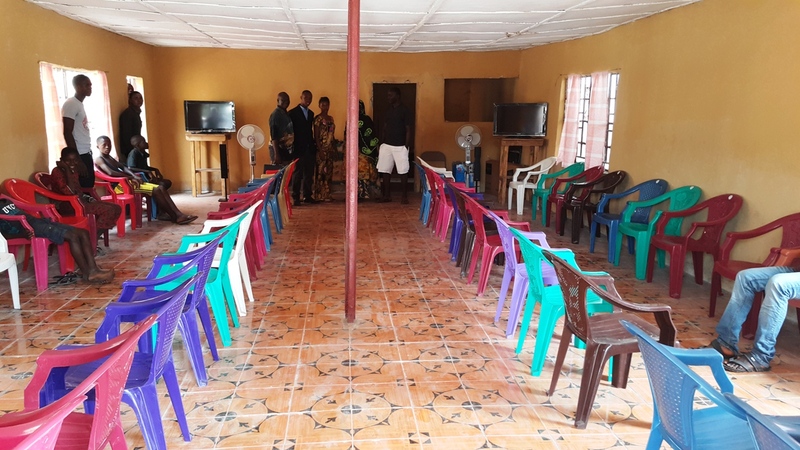 The team has experienced significant delays in getting the restaurant up and running due to the Ebola crisis which has been raging through Sierra Leone and the wider West Africa region since January 2014. Despite these challenges, the team has made great progress. The restaurant has been built and staff and volunteers are now being recruited. The team are determined to become the largest-serving restaurant in the Mile 91 community. Royana will build local skills in business management by providing a range of voluntary and paid jobs. Interviews for the restaurant manager took place at the end of January and a successful candidate, Mr Hamid Turay, was selected. Mr Turay has vast experience in restaurant and hotel management in Sierra Leone. Mr Turay will report to a board of trustees, who are responsible for the higher level decision-making regarding the restaurant. The team has made fantastic progress, particularly in the face of the extremely challenging context, and will soon be serving delicious food to Mile 91!